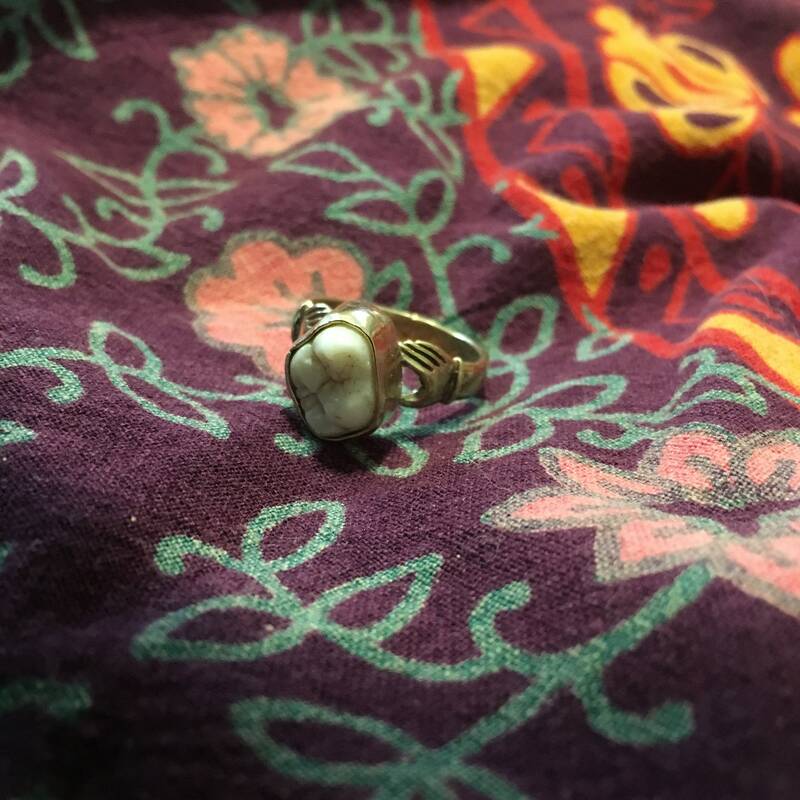 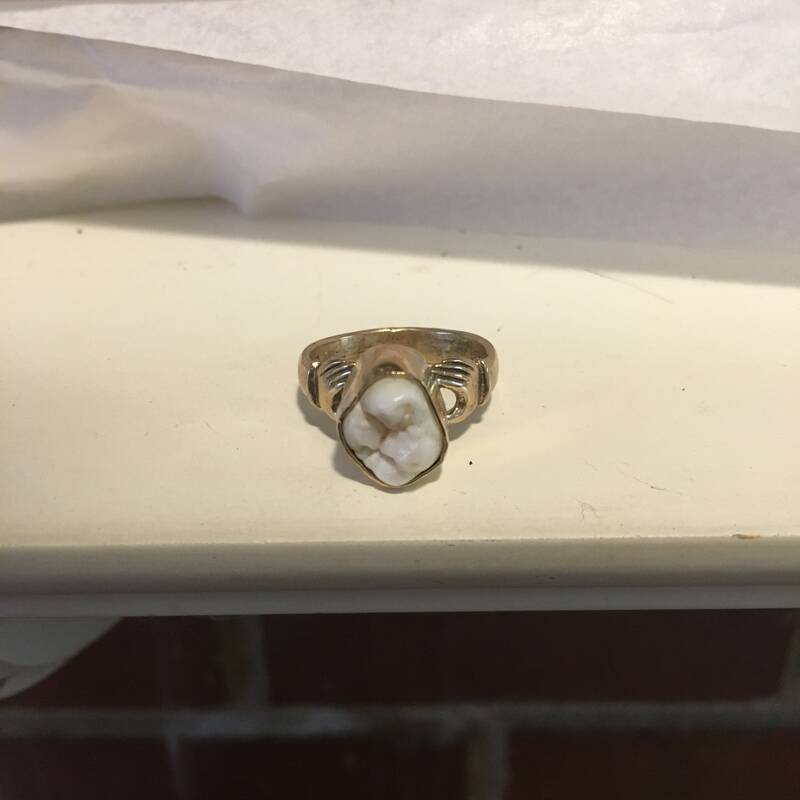 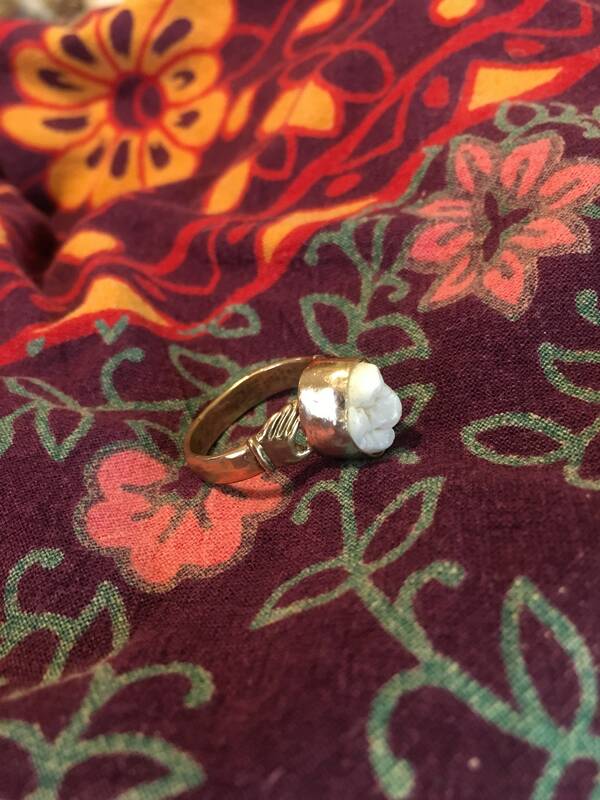 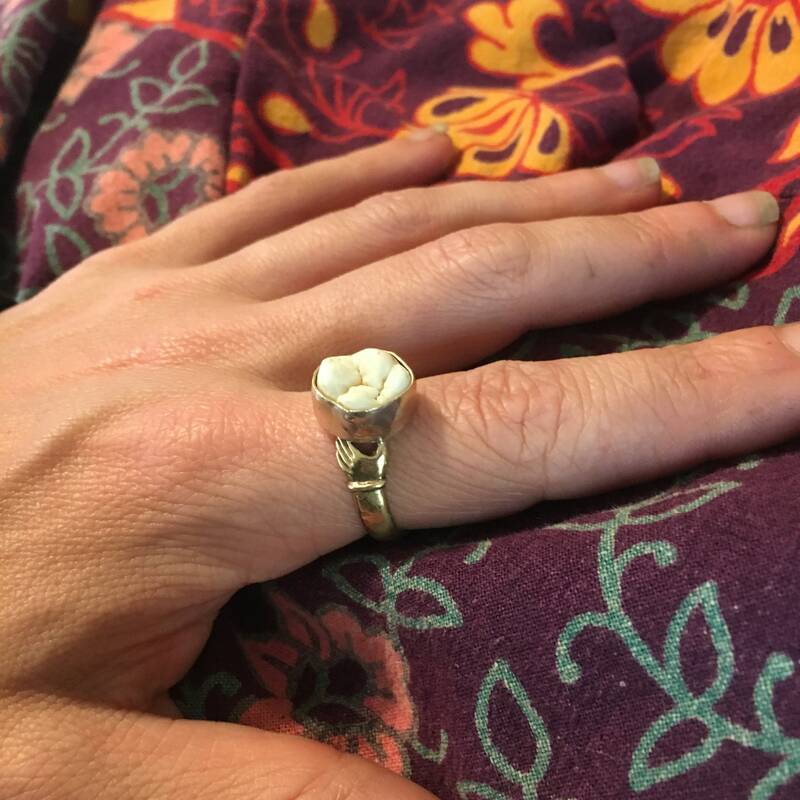 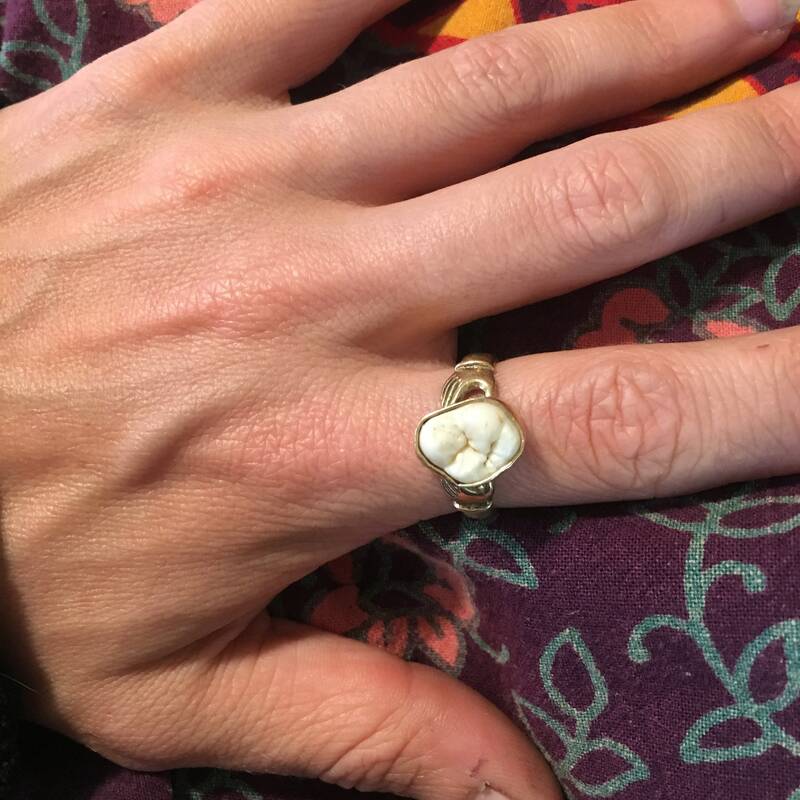 A small real human molar tooth set in gold tone brass plain bezel and cradled by a pair of hands. 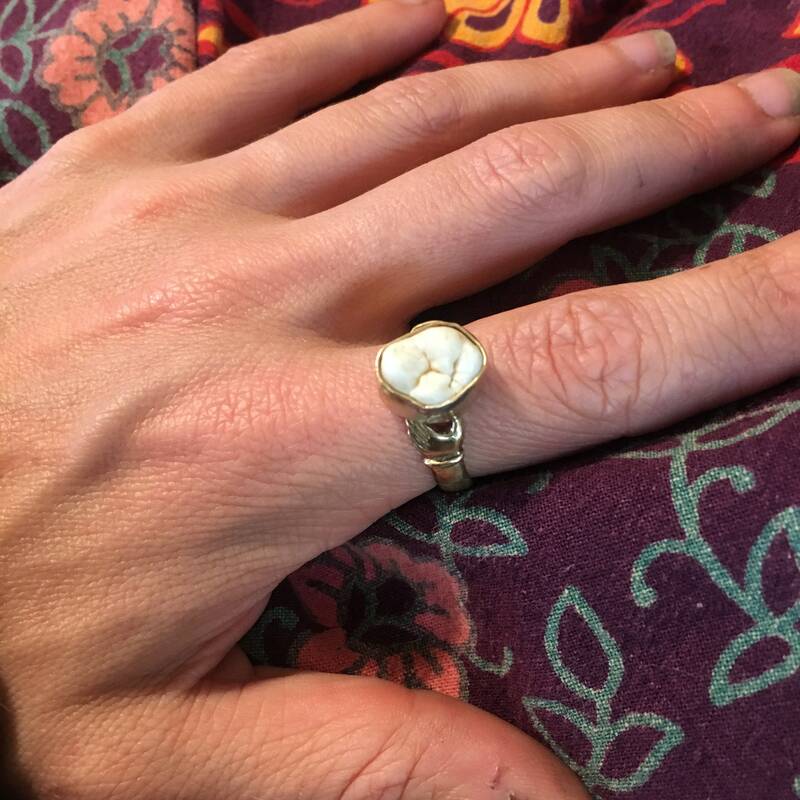 Please note some people’s skin reacts to brass and it can leave a greenish mark when it oxidizes, especially in response to sweat and moisture. 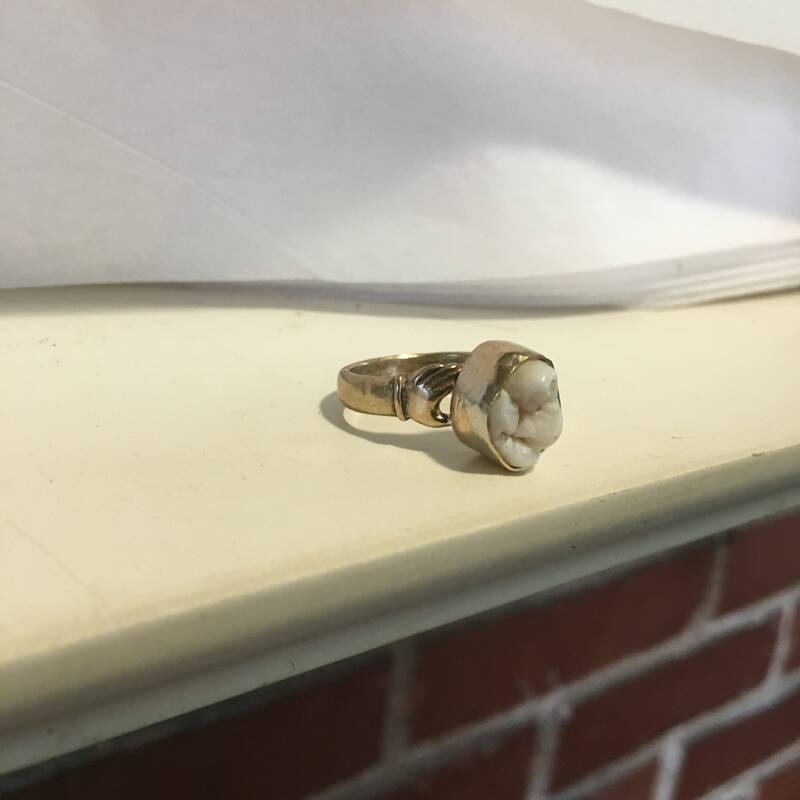 It will be given a wax polish to minimize oxidation.